Warsaw is the capital of Poland and is the 46th most expensive city in the world. It has been ranked among the top 7 emerging cities in the world. The CSD certification in Warsaw is for the local IT professionals to fast-track their careers. Join this five-day programme on CSD training that will be led by certified tutors. It is no longer enough to just know Scrum. 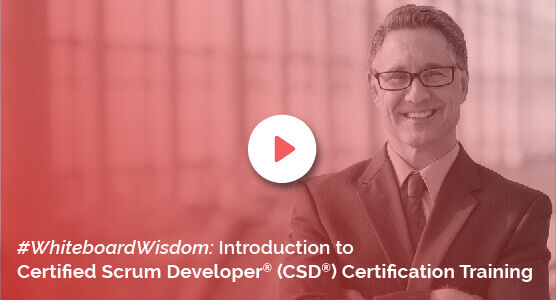 Enrol in the CSD certification and learn the basics and essence of Scrum and the various forms of Sprint. Participate in discussions on roles and ceremonies of Scrum, and Scrum Artifacts. The CSD elective class of the CSD training in Warsaw would teach you the significance of Acceptance Test Driven Development and Behaviour Driven Development. Understand the differences between ATDD, BDD, and TDD and learn how BDD fits into the Agile methodology. The CSD course in Warsaw will also teach you how to code in BDD. Take part in discussions on Gherkins, Finesse and Selenium. There are other topics also that will be covered in the workshops on certified scrum developer training in Warsaw. The duration of the academy will be five days, out of which two days will be devoted towards understanding the basic principles of Scrum, its frameworks, roles and ceremonies. The other module will run for three days and is called the CSD Technical Training Track. Learn Scrum and Agile principles with the help of classroom sessions, theory and practice. KnowledgeHut gives the trainees access to a technically astute staff along with a comprehensive course material. The cost of the Certified Scrum Developer certification in Warsaw includes the exam fee as well.